I was watching an urban planning documentary called Urbanized on Netflix recently. It brought up a fascinating example of participatory design in the context of building homes. A housing development in Santiago, Chile called Elemental ran into a problem. The builders had to make a tough decision: should they build in hot water heaters, or should they build in bath tubs? The budget could only support one or the other at the outset. A typical top-down approach would dictate that of course you'd want hot water. A first world view of the situation would say that you'd rather shower standing up with hot water than sit in a bathtub and have to heat water separately. Yet that's the exact opposite of what future residents of Elemental actually wanted. 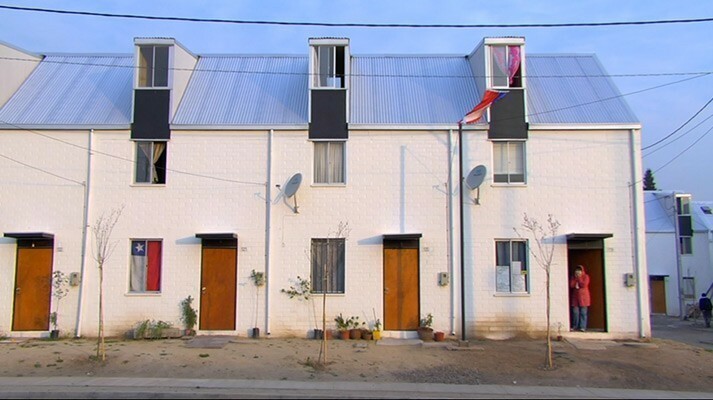 Architect Alejandro Aravena went out into communities and talked with residents and discovered what typical bureaucrats would never find - that people moving to the low income housing from slums would unanimously choose bathtubs instead. Hot water heaters and gas furnaces cost money, and are unfamiliar. Bathtubs, on the other hand, were very familiar (in fact what residents typically did in their existing living environments due to the extra privacy) and didn't generate additional energy cost. Further, hot water was one of the things that people typically added later, once they had acclimatized to the new living environment and improved their station in life. It seemed to me this was the sort of thing you could only tell by actually talking with the people who would use your creations. It is the ideal situation for us to create things for ourselves. But when you aren't doing that, you have to be extra careful about the assumptions and values you bring to the table. Cecilia Corral upvoted this post.